I recently returned from a trip to Nairobi, Kenya. While I was there, I met with the Law and Science Faculties of the Catholic University of East Africa (CUEA), to talk about their idea of creating a Master’s in Intellectual Property. I also had the opportunity to deliver a series of lectures to faculty and students about US and international patent law. 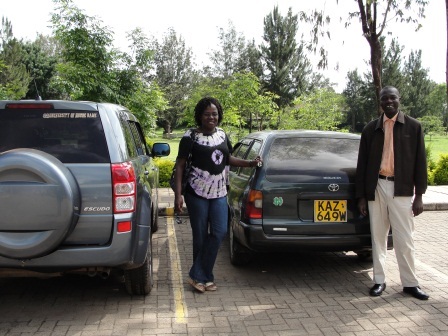 I am really excited about this collaboration, in no small part because of the enthusiasm of the CUEA folks I met. They see that IP, and patents in particular, are critical to growing their developing economy; and want to figure out how to leverage their ideas in a global marketplace. I am excited to see what the CUEA folks develop, and hopeful that I can be a part of it! I also got some time to be a tourist. More about that in the next post…. The Dean of the Science Faculty and one of her Department Chairs show off their Notre Dame gear. We may typically like to think of our great American inventors as rogue loners toiling away in their humble garages, only to emerge with the next personal computer, or the equally revolutionary light bulb. But apparently that is a myth ready for busting. It may not be romantic, but the real hotbed of invention is in professionally-staffed, fully-funded laboratories. This misconception is unfortunate, says Eric Issacs at Slate.com, because it “has a real impact on the way this nation views the importance of the knowledge enterprise and the scientific infrastructure that supports it.” And since patent/legal departments fall under this scientific infrastructure, the argument seems a relevant one. Issacs issues examples from then and now. Even Thomas Edison, arguably the progenitor of the “isolated-genius-inventor” conception, actually headed up the largest scientific laboratory of the times, with a staff of 40 in New Jersey. 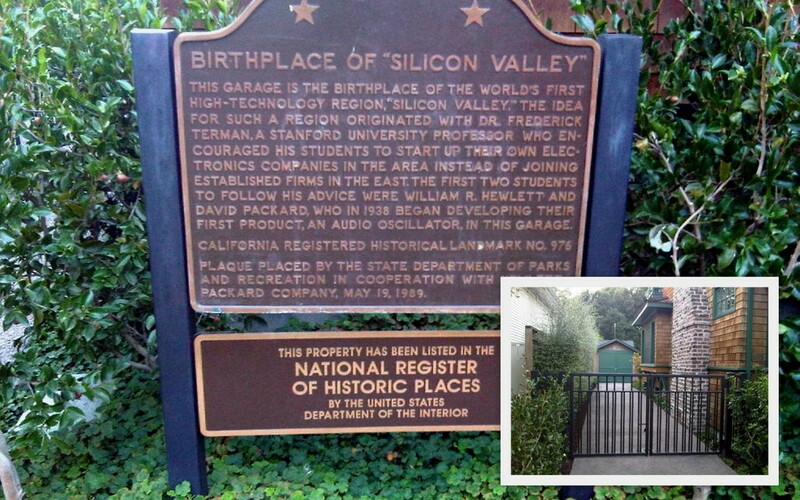 And the garage of William Hewlett and David Packard in Palo Alto? 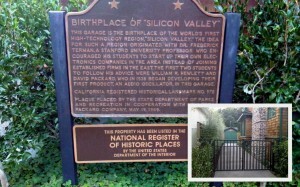 The one that now has a plaque that says “Birthplace of Silicon Valley?” Who knows if that honor could have been bestowed if not for the duo’s access to the electrical engineering resources of Stanford University? The problem, says Issacs, is that if the public doesn’t recognize the role that institutions play in nurturing ideas and facilitating experimentation, support for those institutions may falter and the real engine of innovation (the un-romantic) could be undermined. Can we say the same for the patent process? Patents do provide inventors with exclusive rights to market their inventions, though in a similar manner to the inventor-myth above, the “inventors” who own the patents are often corporate conglomerates. Still, it’s the revenue from that period of exclusivity that fund further large-scale laboratory research, and profits that pay the men and women researching behind the scenes—regardless of whether they have a garage or not. 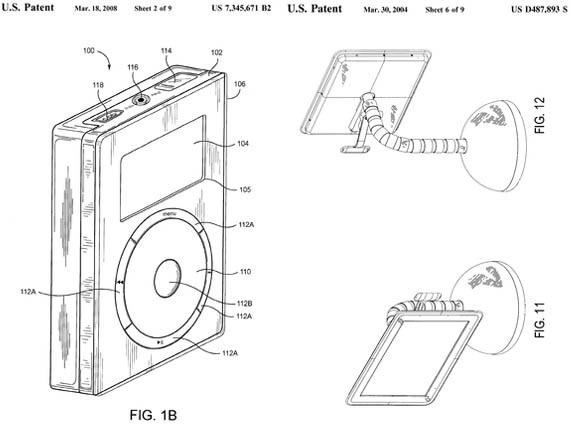 It is no exaggeration to say that what’s stirring the pot in Silicon Valley right now isn’t the latest i-Gadget—it’s tech patents. Licensing intellectual property is a big money-maker out there, where something as intangible as an algorithm is often the hottest commodity. Protection of IP is the sign of the technological times—consider that a majority of the half-million patents applied for each year are tech-related. And a behemoth tech-company like Google, which has quickly become a part of our everyday lives, (and profits very well from that fact), is not surprisingly taking the lion’s share of patent-related lawsuits. 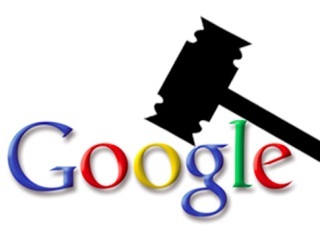 Fresh from litigation with Oracle, a software company that claimed Android devices infringed on its Java programming, Google is now back in court with IP Engine, concerning the very web search algorithm that made Google, well, Google. Because the 14-year history of this particular algorithm is perhaps more complex than how it works, here’s the IP Engine/Google fiasco in a nutshell according to Fast Company: in 1998 engineers Andrew Lang and Donald Kosak patented an algorithm that allowed search engines to scour the web and filter the results. While the patent was bought and sold since, it is now owned by IP Engine, who claims Google and other companies like AOL have used the algorithm and therefore owe a royalty. Given that Google alone makes 38 billion annually, a mere fraction of that would be a tidy sum. As is common with many patent lawsuits, the devil is in the details, or in this case, the definitions. “Scanning” is the term in question—whether it refers to the traditional hand-visor surveying to pick out a particular thing, or the more technical method of “spidering” that is the M.O. of many a search engine. This is, of course, just the groundwork being laid out as the case goes to trial. We’ll have more for you as the drama unfolds. Though the exhibit was at the USPTO offices for some time, The Patents and Trademarks of Steve Jobs: Art and Technology that Changed the World has made it’s way to the hallowed halls of the Smithsonian and will be there for about a month longer, ending July 8th. 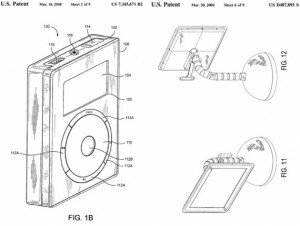 If a wall of patents doesn’t seem like museum material, consider the impact those inventions had on culture around the world, and the fact that the objects of those patents earned Apple assets that eclipse the national treasury. And of course, Jobs was known for his artistry as well as his ingenuity. 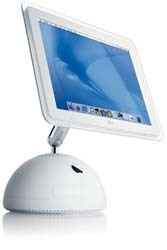 According to NPR, the now seemingly-antiquated design for the first flat-screened iMac, that seems to hover over it’s rounded base was inspired by sunflowers his wife grew in their Palo Alto garden. And if you can’t get to D.C., here’s a fascinating interactive look at Jobs’ patents at the New York Times, everything from Apple packaging to product prototypes that never made it to the showroom floor.